Ready to become a master web-developer? Whether you’re just curious about building your own apps or want to take your coding career to the next level, check out this complete course bundle with 74+ hours of top-notch training. 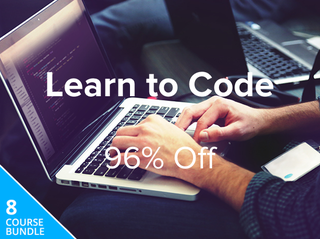 Right now, you can get an exclusive discount of 96% (over $1,000) with code LEARNCODE15. All the courses come with lifetime access, and you can go at your own pace. Interested? Hit the link below to purchase, and make sure to enter code LEARNCODE15 for the full discount.